Thanks for visiting the Cleveland Corporate Challenge website. We hope you'll register your company to participate in our events! We’re celebrating 20 great years of bringing the Corporate Challenge to hundreds of Cleveland’s premier organizations! We hope you’ll join us this year! The Cleveland Corporate Challenge is the premier Corporate Wellness Program in Northeast Ohio! 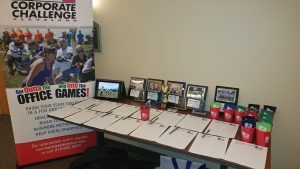 Bring your team together in a Fun and Unique way, and join over 130 area companies of every size to compete in unique sporting events to see who will be crowned Corporate Cup Champion! The Cleveland Corporate Challenge combines Corporate Wellness, Team-Building Activities, Networking Opportunities, Charity Giving, and FUN all into one annual program! Are you looking to get some practice in before the Corporate Challenge? 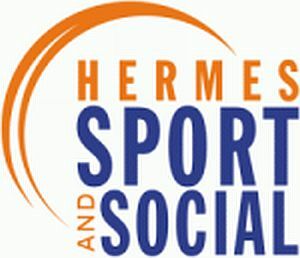 Gain a competitive advantage by joining a Hermes Sport & Social Co-Ed Sports League! Recreational teams, and Company teams are welcomed to compete alongside one another in these leagues. Get together after work, sharpen your skills, and build valuable team chemistry to CRUSH IT in this years’ Corporate Challenge! Click Here to View League Details! Inquire about a JumpStart Meeting, and bring the Cleveland Corporate Challenge team to your office! I’ll work with you to create custom meetings for your company geared toward sharing information, recruiting team captains, developing employee interest, and/or organizing participation. Hermes Sports & Events has extended our same great Corporate Challenge product to the City of Akron! Click Here to check out the Akron Corporate Challenge!